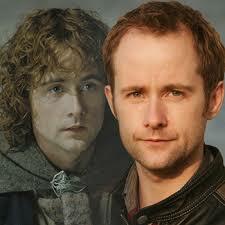 At the end of my talk with Pippin actor Billy Boyd about his appearance at the Columbus Comic Con and the beauties of Scotland, he asked about good places to eat in Columbus. Sadly, I had little to offer because I’m too cheap to go out to eat much. So listen to the podcast and then help him by tweeting your favorite Columbus eateries to @BillyBoydActor. This entry was posted in Events to attend, Original Craft Productions and tagged Billy Boyd, Columbus Comic Con, Lord of the Rings, Pippin, wizardworld. Bookmark the permalink.